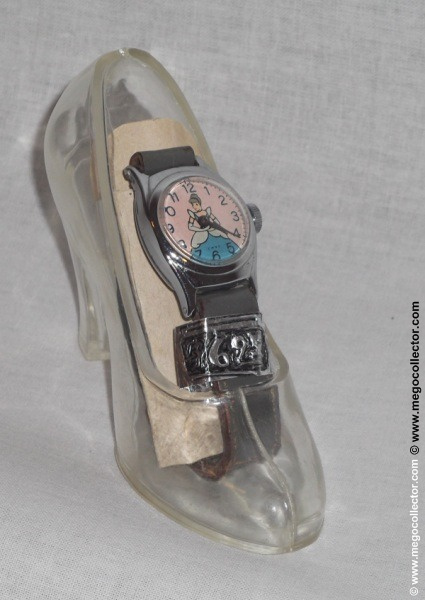 I had been researching what was described to me as a 1950s Disney Cinderella wrist watch in shoe or slipper. The search did not yield a great many pictures of this combination and those pictures that could be found created more questions than answers. There are several pictures that depict Cinderella where her arms would point to the time with Bradley on the top of the face of the watch. 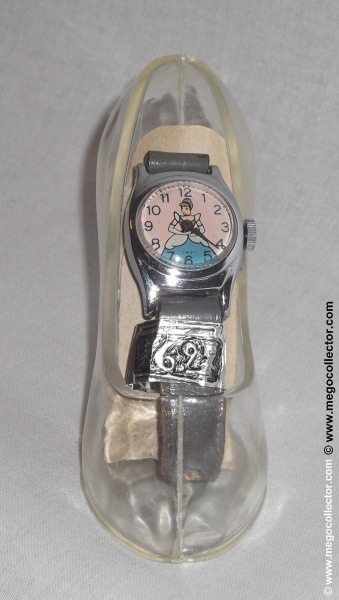 Others shows Cinderella with her arms folded over her body and with regular watch hands pointing to the time. This watch theme is depicted with different background colors, pink or blue. Then there are the watchbands, different colors and some are metal. 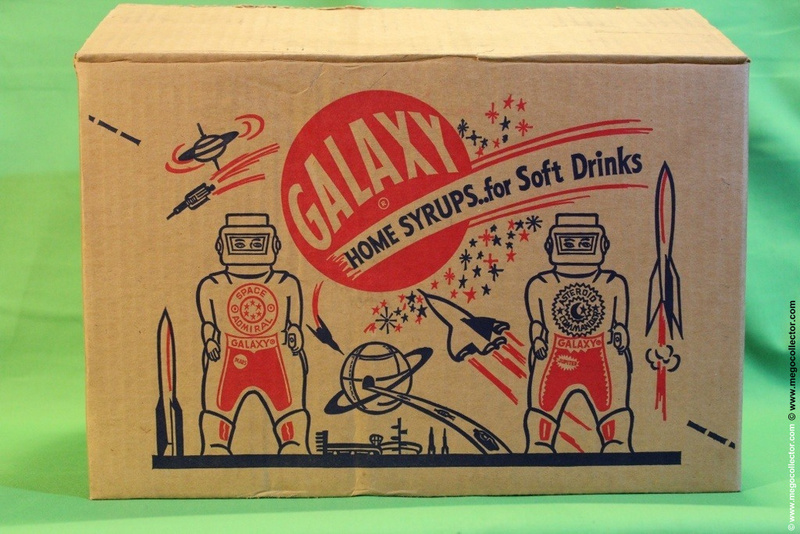 Lastly, the question remained, what could this have looked like on the shelves of a retail store back in the 1950’s. Many of these questions have been answered enough to make a satisfactory conclusion. According to an eBay guide, BUYING A COLLECTIBLE BRADLEY DISNEY WATCH, the Disney character watch history began in 1933, when Ingersoll manufactured the first Mickey Mouse watch that is commonly considered by most people to be the first comic character wristwatch. 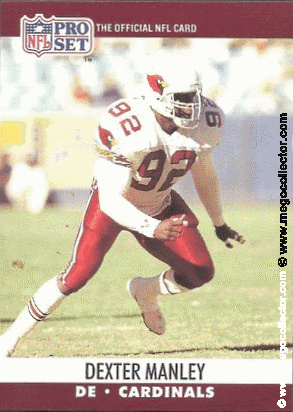 In 1957, Ingersoll became U.S. Time, and around 1968 the name was changed again to Timex. Ingersoll/U.S. Time/Timex, therefore, had the license to manufacture Disney watches from 1933 up until 1968. From 1968 to 1972, several companies were licensed to produce Mickey Mouse watches, many of which were sold exclusively in Disneyland. These included Helbros, Hamilton, the Vantage Watch company, and Elgin. 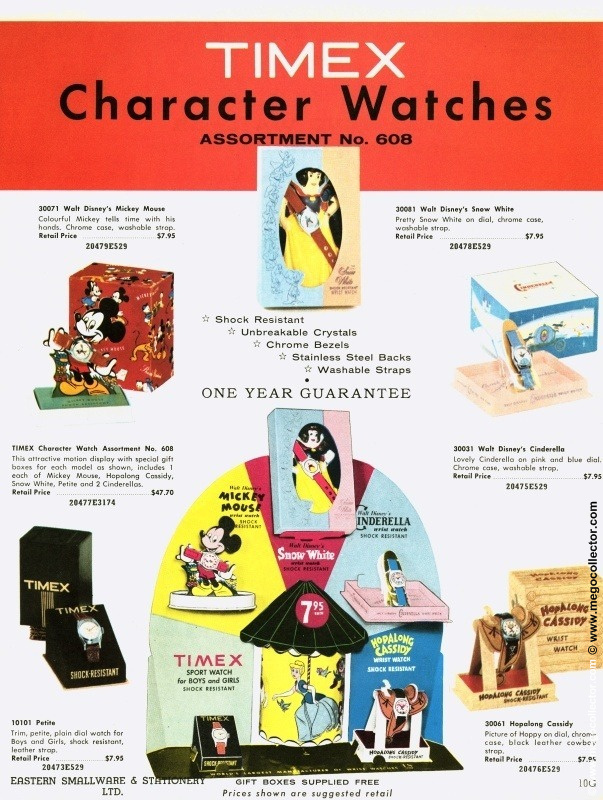 In 1972 Timex did not continue to produce watches for Disney. 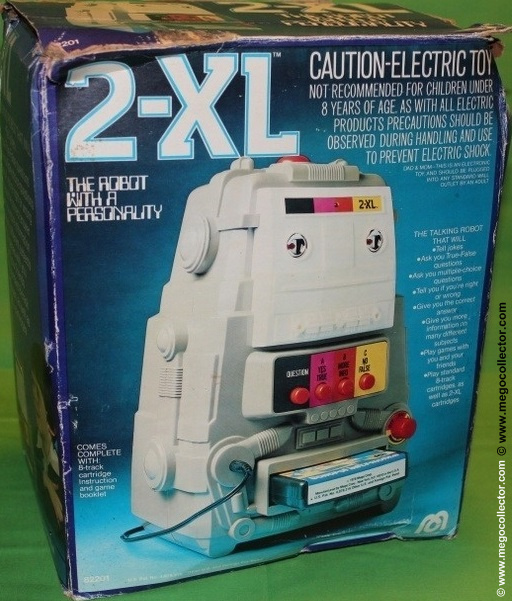 The Disney contract was acquired by Elgin National Industries, Inc, on January 1, 1972. Bradley Time Division of Elgin National Industries produced most of the Disney character watches until 1985. 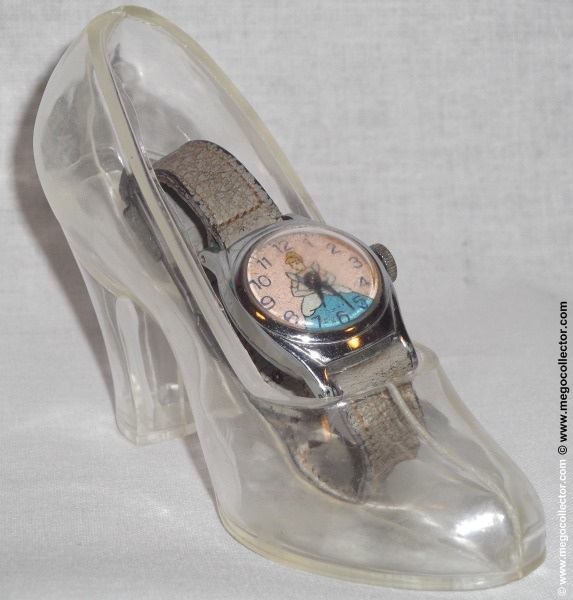 This pair of correct Cinderella watches with U.S. Time on back, complete with shoes, inserts, and price points of $6.95 demonstrate the original and complete Cinderella with slipper. There are many different watch band colors and metal watch bands are also likely as depicted in the picture below. It is still not clear to me if the blue background featuring the same likeness of Cinderella is part of this promotion or earlier or later. This advertisment from 1958 showcases among other character watches, the Walt Disney Cinderella, on pink and blue dial. Notice too that the suggested price point of $7.95. 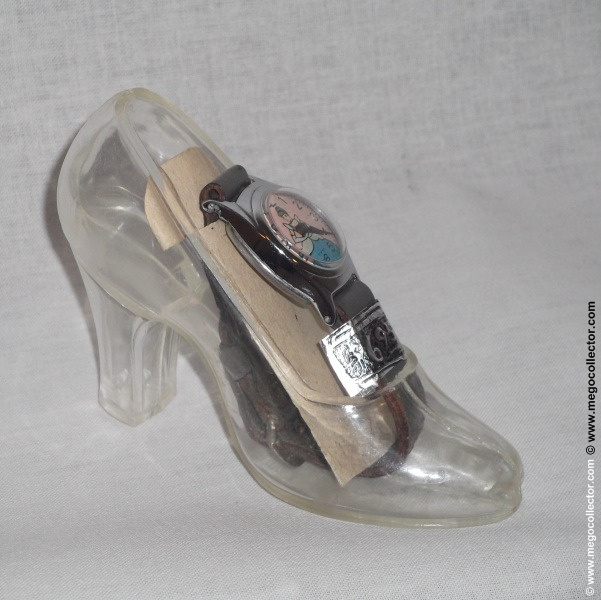 This information along with the several images to compare allowed for the informed conclusion that the following image is of the correct watch with shoe. After acquiring this watch with shoe and purchasing another watch with clean band and working mechanism, I cut a piece of cardboard and handwritten a price into aluminum foil to create this finished piece.